Many Google Chrome users are confused about what to do if they want to download videos from YouTube, Facebook or other sites on browser directly. They want to find some Video DownloadHelper Chrome like the Video DownloadHelper for Firefox. If you have the same question, or you can not choose the best one after found many Video DownloadHelper for Google Chrome alternatives. No worry! Here we will help you to choose the best Google Chrome Video DownloadHelper, helping you to download videos from any video-sharing sites on your browsers. 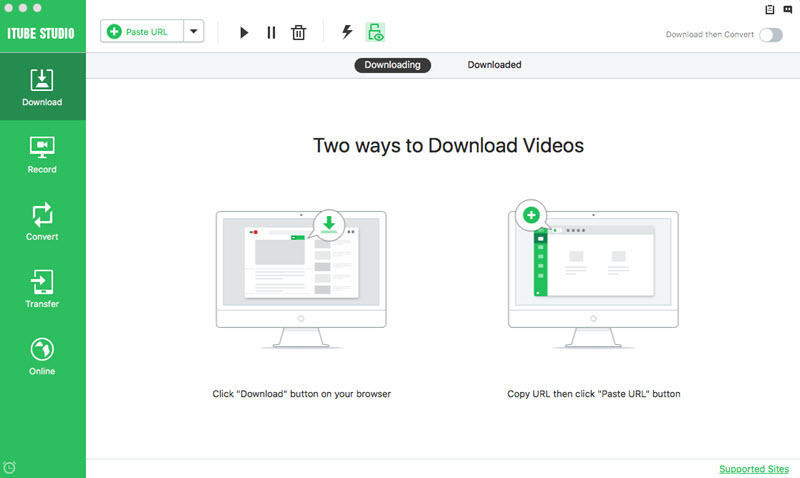 iTube Studio Best Video Downloader is a good solution to download video directly in Chrome, which is a video downloadhelper Chrome extension for Mac (macOS High Sierra, Sierra, OS X 10.11 EL Capitan and Yosemite included) and Windows. 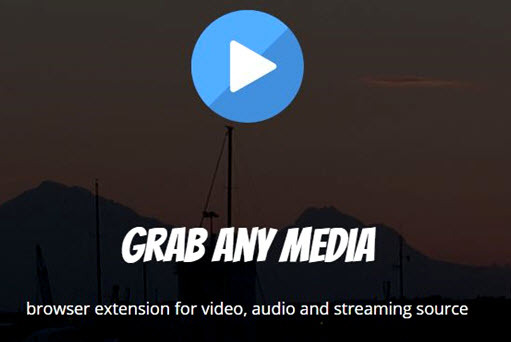 iTube Studio Chrome Extension adds a "Download" button to every video on the supported website like YouTube, Google, Facebook, Vevo and other 10,000+ similar sites. It's even more convenient than DownloadHelper. Thus highly recommended as a DownloadHelper for Chrome alternative. 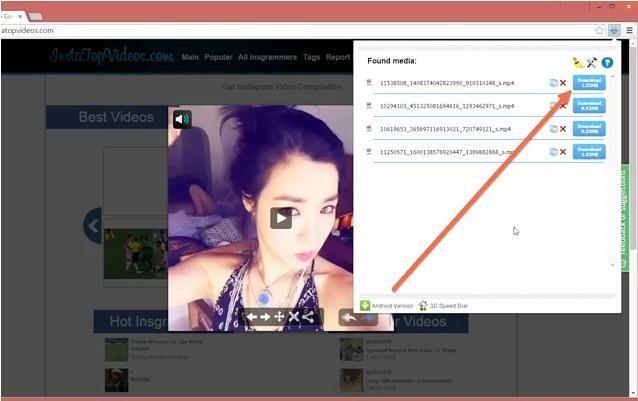 Supports to download videos from more than 10,000 video sites in Chrome, Safari, Chrome and IE directly. Converts videos to all regular formats and devices without installing anything else. Equipped with a video recorder which allows to capture any online video from any site. 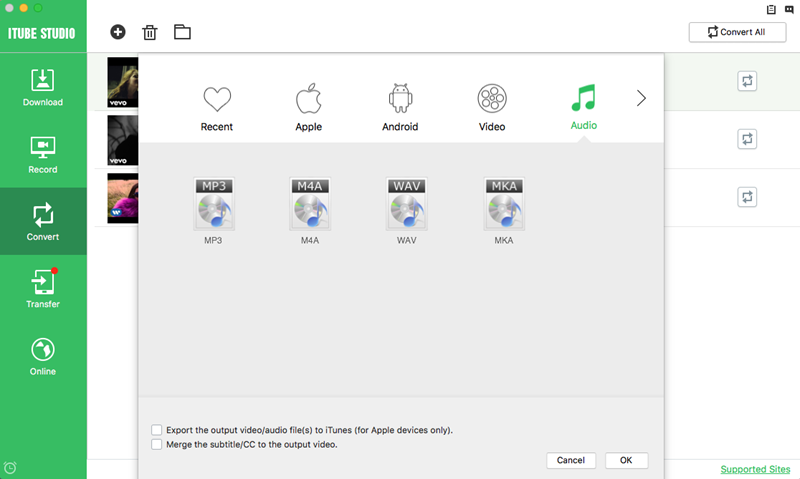 Transfer feature to send downloaded videos from Chrome to mobile devices like iPhone, iPad, Android devices. Easily download video or music files from a sharing link of online backup services providers like Dropbox. Private Mode to download whatever private videos you like under protection of a password known by yourself only. After downloaded the setup, double click to open it and a wizard will guide you through installing this Video DownloadHelper step by step. After installation, the program will launch automatically. 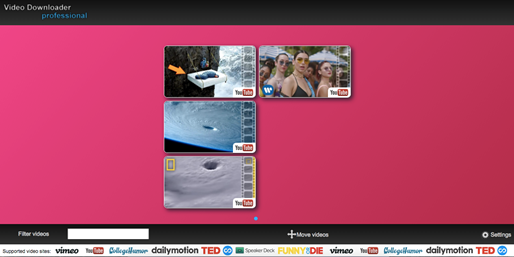 And then install the iTube extension in your Chrome before downloading videos in Chrome. Now, just go to play the video you want to download in Chrome. 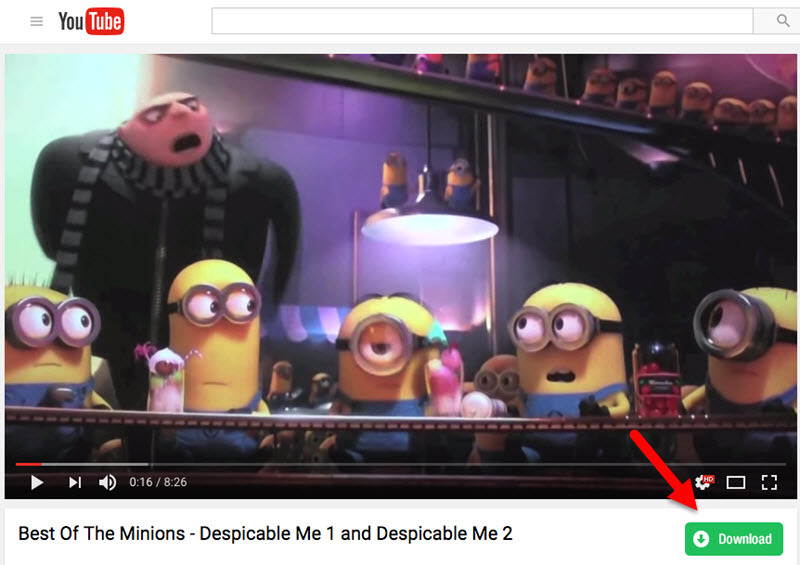 You will see a "Download" button appears on the video window, click it to start fetching and downloading online video to computer. 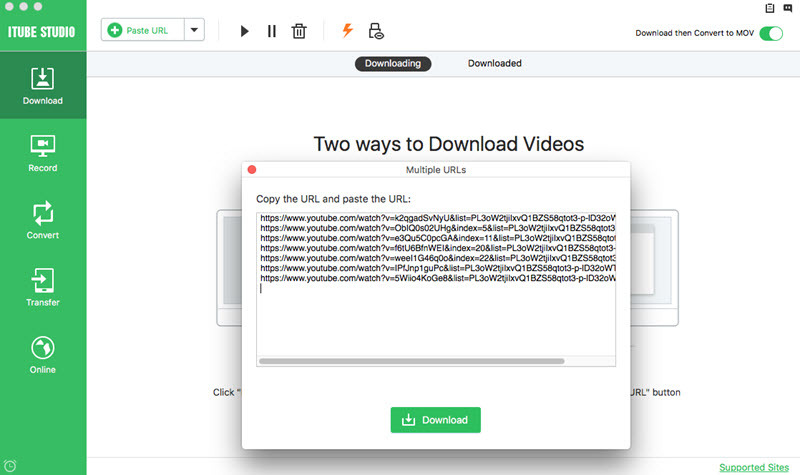 Besides the "Download" button, this DownloadHelper Chrome app also helps you download video via the video URL. Simply drag and drop the URL to the program for downloading. 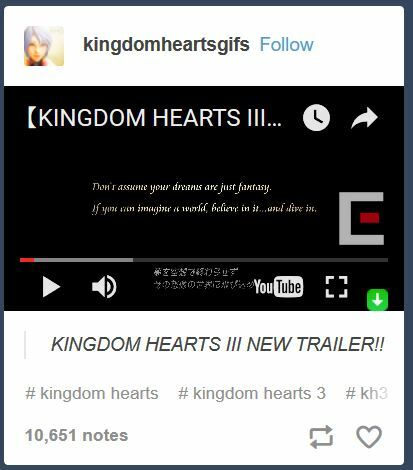 Or copy and paste URL with the "Paste URL" button, your video will be downloaded. iTube Studio DownloadHelper for Chrome features powerful video conversion tools so you can watch online video anywhere without using internet connection. To convert the downloaded video, go to "Download" menu and view the videos in "Downloaded" tab, and then click "Add to Convert List" to import the videos to the "Convert" menu. And click the "Convert" on the right of each video. In the window that appears, choose the output format you want to start the conversion. Actually, Chrome web store provides you with a Video Downloader professional allowing you to download web videos or add them to your favorite list. However, this Chrome video downloader does not support downloading YouTube videos. And if you enable the video downloader on your Chrome browser, it will change the settings of your browser and sometimes get unknow stuck on playing videos. So it is better for you to choose the more safe and powerful DownloadHelper Chrome alternative. Sometimes, when you are using Video DownloadHelper for Chrome, you might notice that the add-on stops downloading videos from YouTube. This can be as a result of a browser compatibility issue, especially after the add-on is automatically updated. To fix the problem, simply remove the DownloadHelper add-on and try installing an older version. Updating the Chrome browser is another issue that can lead to compatibility problems with the Video DownloadHelper add-on, thus causing the extension not to work. If you have recently updated your browser and the Video DownloadHelper has stopped working, first try to update your add-on to the latest version. If that does not work, roll back the add-on and the Chrome browser to an earlier version. When downloading videos using DownloadHelper, you might realize that the add-on is not downloading some specific types of videos, especially ones that are not MP4. In this case, the problem might not be the add-on, but the videos. To fix the problem, try using an alternative video downloader that also comes with a converter, for example, iTube Studio. One-click video download - the add-on automatically detects videos from several websites, allowing you to download with just one click. Screen recording - it has a screen capture functionality that you can use to capture and download videos. Multiple file types support - it can download almost any type of videos - mp4, mpg, Mkv, Flv, etc. Video conversion - the add-on comes with a built-in video converter that you can use to download and convert your videos. Multiple resolutions supports - it allows you to choose the type of resolution you want to download. Downloadhelper for Chrome 1. Multiple website support - the extension allows you to download videos from almost any website. 2. Smart naming - the extension detects the original filename of the video and automatically saves it in that name. 3. Blacklisting - the extension allows you to prevent the download of videos from sites you do not want by blacklisting them. 4. 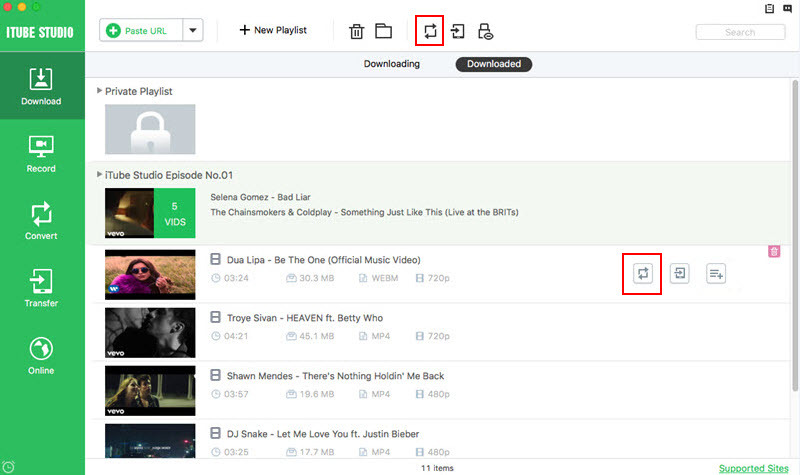 Playing downloaded videos - you can open the videos you have already downloaded and play them directly from the extension's user interface. iTube Studio 1. 1-click video download - it allows you to download high-quality videos from various video sharing websites at just a click of a button. 2. Accelerated video download - it uses a hyper-threading technology that provides up to three times faster download speed. 3. Multiple website support - the downloader is compatible with over 10,000 websites that share videos. 4. Built-in converter - comes with a converter that you can use to convert your videos to various formats, including audio formats. 5. Screen recording - it comes with a screen recording function for use with websites such as Hulu, Netflix, iTunes, and others that do not support video download. 6. Batch download - allows you to download several videos simultaneously. Google Chrome is a leading web browser developed by Google Inc. These days, lots of Google Chrome users are quite confused about best video downloader add-on for Chrome. Video Download Helper is always the great option but currently, users throughout the world are facing several problems in DownloadHelper add-on on Chrome. So, it is better to choose reliable and powerful alternative to DownloadHelper. If you are seeking for the best alternative of DownloadHelper then, this is the right place for you. Grab Any Media is one of the best alternatives of Downloadhelper. This is open source video downloader that is added by Leonardociaccio in the second quarter of 2014. Getting engaging with this tool, one can download videos and music from Facebook, YouTube, and from other platforms. Currently, it is fully compatible with Google Chrome, Mozilla Firefox, Opera, as well as Yandex Browser for Android and iOS devices. •	It is not limited to video only; one can also download audio using Grab Any Media. •	Grab Any Media support a wide range of media format such as .FLV, .MP4, .MP3, and many others. 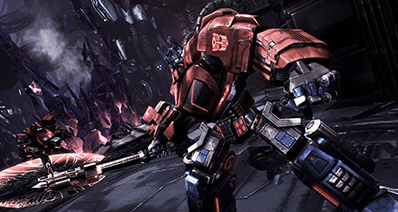 •	It is banned from Google Chrome store. You can download it from their official website if you want to use. Video Downloader professional is another alternate of Video Downloadhelper. This is the great way to download video from any website using Chrome. With Video Downloader professional, you can download any type of video from different sources. There are numerous of file format supported by this add-on. •	It is very easy to use. There is no need for any special computer skill to use this extension. •	It is fully functional, unlike many other extensions. •	Video Downloader professional is free of cost. •	Due to Google Policy, it is not possible to download video from YouTube directly using Video Downloader Professional. •	Some functions are quite complex. Flash Video Downloader is one of the best video downloader extensions available on Google Chrome Store. This is downloader extension is mainly designed to download audio, video from various video-sharing sites. 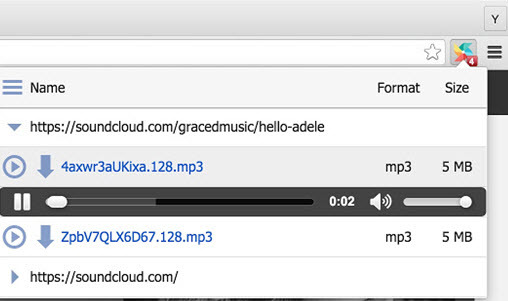 •	With this extension, you can download both videos and audio from different sources. •	This tool is completely free; you don’t have to pay to access this extension. •	Most of the users are complaining that they are getting video without audio. •	YouTube downloading is disabled in its Chrome extension. Facing problem while using Video Downloadhelper? You can try EagleGet Free Downloader to download media files. This is all-in-one download manager tool that is designed for Google Chrome. EagleGet Free Downloader is fully compatible with Windows 10, 8.1,8, 7, Vista, and Windows XP. •	It is easier to use. •	Available free of cost. •	The download is faster. •	It is not possible to download Yahoo attachment file. Getting engaging with Flash Video Downloader Pro, you can download music and video from any website all over the internet. You can click on the extension icon to starts downloading. With this extension, download media file of any format such as .flv, .mp3, and many others. •	Unlike other extensions, it is fast and secure. •	There are no ads, Spy, and malware. •	The process of downloading is very easier. •	Sometimes, it causes an error during slow internet connection. •	Limited support for websites such as Hotstar, Sonyliv, and others.